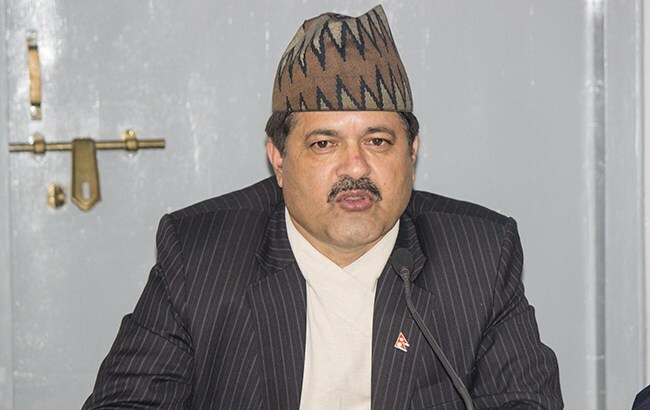 Nuwakot –Attorney General Agni Prasad Kharel has said that there should not be interfere from any quarters in delivery of justice while reiterating that it is delivered as per the judicial system. The Attorney General was speaking at a function organised after the inauguration of a building of the District Prosecutors Office at Bidur today. Indicating towards political as well as other kinds of interference in judicial system, he said support of all bodies concerned of the district was required to deliver justice in a transparent manner. He also urged one and all to help create conducive environment to deliver justice and refrain from foiling the environment even if they could not create environment conducive for the same. The Attorney General said that it would be easy to deliver justice from the new building. The two and half storey new building was constructed at a cost of 23.69 million after the old building of the office was damaged by the Gorkha earthquake in 2015.